Botox, known as botulinum toxin is used for removing lines from skin. Alternative therapies could be used to remove such lines as well. Make a homemade facial mask and apply it on your face. Use sunscreen lotions and moisturisers regularly. The lines that quietly sit on your forehead or the frown lines in between the eyebrows are a gentle reminder of the overuse of muscle that happened around those regions. Botox is definitely an option, but are there any natural alternatives to it? Most people jump for a quick Botox in order to remove such lines from their face; Botox is also known as botulinum toxin and is actually a medication and neurotoxic protein that could have dangerous side effects. The fact is that Botox could be very toxic if given in large doses. Therefore when you are using Botox you are being given in small quantity so that the lines are straightened. Now because of its toxic nature there have been attempts to have natural alternatives to Botox, and here we have brought to you some such options. 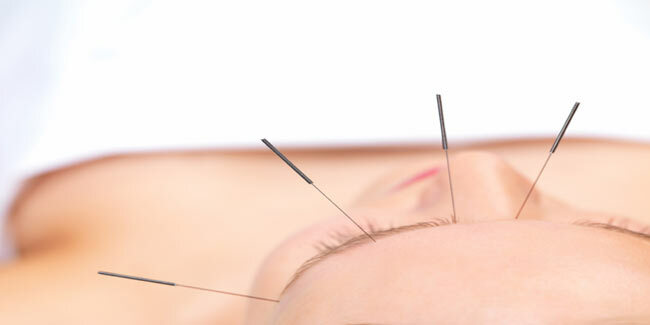 There are acupunctures which can successfully rejuvenate your facial features through treatment. This treatment will insert tiny needle into the skin on your face and will then reduce the appearance of under eye bags and also lessen the sagging in the neck area. Through this facial rejuvenation acupuncture your aging appearance reduces by the tightening of the pores and also improving on the blood flow to your skin. You are recommended a visit to a doctor who does alternative therapies and with twelve weekly facial acupunctures treatments you can beat aging. You can opt for a natural homemade combination of ingredients in order to increase your skin’s moisture. Once ready, this could be applied as a face mask at least once every week. One good example for such a mask is a beaten egg mixed with yogurt and rosewater. Apply this on to your face and let it be that way for 10-15 minutes before rinsing with warm water and washing it off. You must use products that have Alpha Hydroxy Acids or AHAs; these include citric acid, glycolic acid, and lactic acid. These help to remove dead skin cells and moisturize the skin and also improve the appearance of the skin by simply smoothing and firming it. The acids help by removing the top, dead layer of the skin in order to reveal the newer skin which is underneath. The acids also successfully firm the skin because it increases the thickness of the skin layers is lying deep. These as you can see are much less expensive than Botox and heal sun damaged skin. This is a preventive step that you should take; using sunscreen and lotion can help you to keep your skin toned from a young age. The lines and wrinkles that appear on your skin are mainly because of the harsh sunlight and avoiding moisturiser, therefore if you stay out under the sun you should be sure to wear sunscreen lotion. In addition to using sunscreen you must also keep your skin hydrated and smooth with body lotion. You will see the effects of Botox without spending any money for it. By avoiding the use of Botox you can save money and the harmful side effects. Go natural. Get Rid of Your Onion Breath. Now!